At Walden Square Dental, we are thrilled to have a team of compassionate, dedicated health professionals. Each and every one of us is committed to giving you the best dental experience possible. From the moment you call our office or step through our doors, we are working hard to exceed your expectations and earn your trust. We never stop trying to show you why you made the right decision choosing our dental practice! Dr. Kevin Clauser, Dr. Al-hammali, and the rest of our team love working one-on-one with patients since it gives us the opportunity to truly personalize our care — and because it lets us get to know the great community that we live in. When you visit Walden Square Dental, please don’t hesitate to let one of our team members know if there is anything we can do to make your visit more comfortable. We want you to have a stress-free visit and be able to leave our office with a smile, each and every time. We all look forwarding to getting to know you! Dr. Kevin Clauser completed his undergraduate studies in Biology at Indiana University in Bloomington, IN and his DDS degree at Indiana University School of Dentistry in Indianaoplis, IN. After graduation Dr. Kevin worked for Heartland Dental Care, one of the nation’s largest practices, in Illinois. 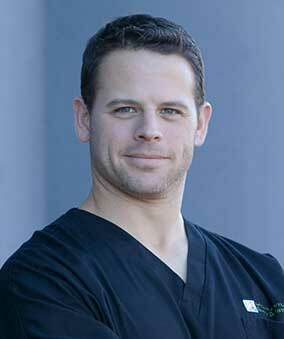 Dr. Kevin is committed to continuing education both clinically and managerially. He has traveled the country studying and improving his skills under the guidance of many industry leaders. Dr. Kevin believes that only through constant and never-ending improvement can he provide the best care possible for his community. He understands the value in a positive and personable dental experience for patients and strives to exceed those expectations. He is a certified dental implant specialist, and is committed to helping patients achieve a healthy smile. Dr. Kevin is originally from Fort Wayne, IN and is a passionate Indiana Hoosiers basketball and a Notre Dame football fan. In his free time he enjoys spending time with his three beautiful children, giving his wonderful wife a hard time and playing golf. Dr. Nadine Al-hammali completed her undergraduate studies in biochemistry at the University of California, Los Angeles and her DDS degree at the University of Southern California School of Dentistry in Los Angeles, CA. After graduation, Dr. Nadine worked with children and adults of all ages in Texas and Florida before relocating to Buffalo, NY. Dr. Nadine believes oral health is essential to general health and well-being at every stage of life. She is committed to providing her patients with a wonderful dental experience. Understanding your needs, concerns, and limitations is essential to customizing the best quality care for each patient. Dr. Nadine and her team are dedicated to providing the best care and patient education in order to achieve this. Dr. Nadine enjoys spending her free time with her son and husband while staying warm. 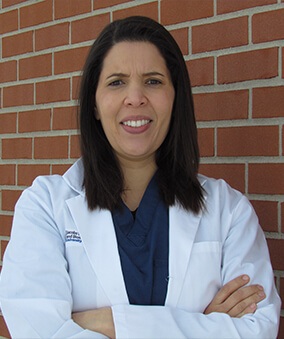 Dr. Nadine is enjoying exploring all the Buffalo scene has to offer and discovering new hobbies!